The global leader in high-performance components for personal computers, Corsair Memory, Inc. has launched its new Extreme Series X32 (32GB), X64 (64GB) and X128 (128GB) high-performance solid-state drives, which utilize renowned Indilinx Barefoot controller, Samsung MLC NAND flash memory and a generous onboard cache, resulting in exceptionally high-speed performance with up to 240MB/s sequential read and up to 170MB/s sequential write speeds. 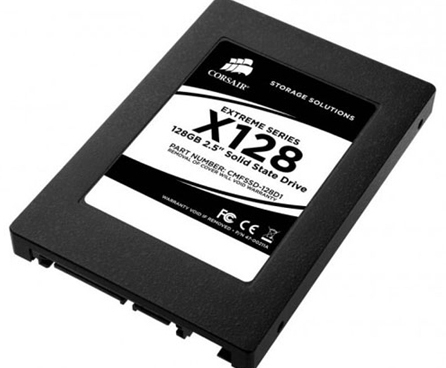 Corsair Extreme Series SSD includes 100+ Year Life Expectancy (MTBF), and end-user upgradable firmware that allows for new features to be added, including upcoming TRIM command for Windows 7 and other OS. The new Corsair Extreme Series X32, X64 and X128 SSDs that features decreased power usage for cool, quiet operation and increased notebook battery life are expected to be available for approximately $160, $250 and $414, respectively.